"Sugartone Brass Band has been Funkin’ up the brass band scene in New York City for over a decade. The band was started in 2002 by founder, Moses Patrou. 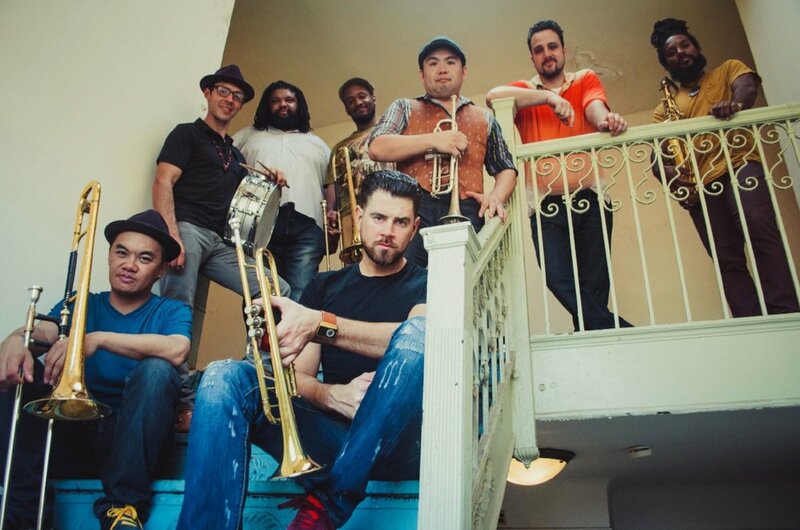 The band has released three albums: “Live in Brooklyn” (2007), “Fourth Man Down” (2012), and “Things Are Not The Same” (2014).Sugartone Brass Band has appeared on MTV’s “Making the Band,” the James Beard Awards Show, BET’s “106 and Park,” and the New York Burlesque Festival. In May of 2017, Sugartone performed as the house band for ESPN Upfront.